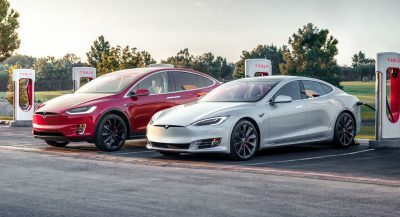 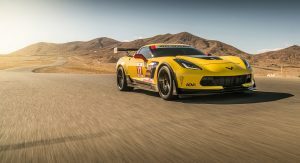 In the never-ending pursuit of power and performance, some people take the quickest vehicles and throw on numerous modifications to make them even faster. 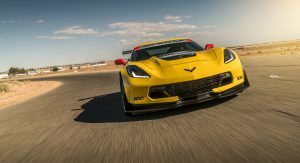 Take this C7 Corvette Z06, for example. 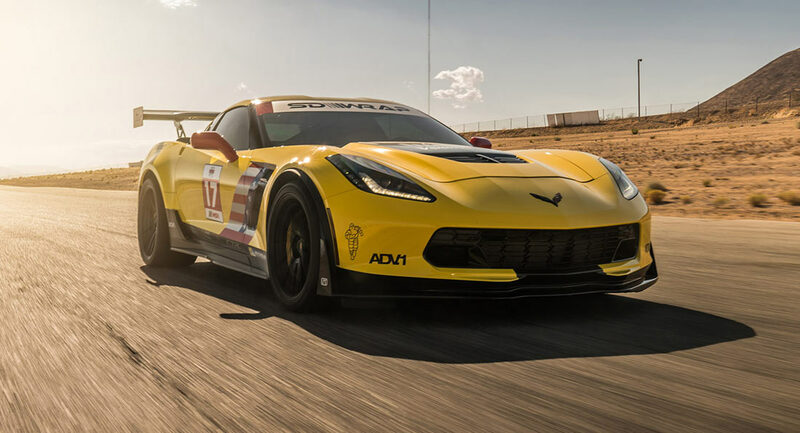 When the Z06 leaves the factory, it does so equipped with a 6.2-liter supercharged V8 delivering 650 hp and 650 lb-ft of torque. 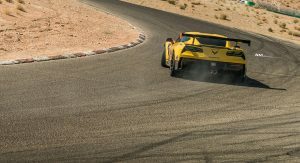 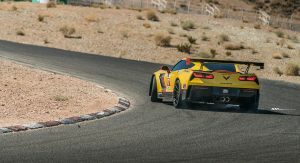 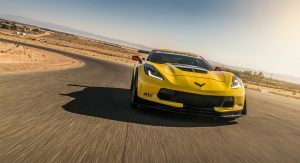 In a straight-line, 0-62 mph (100 km/h) can be knocked off in under 2.95 seconds, and around a racetrack, the Corvette can rival many more-expensive European rivals. 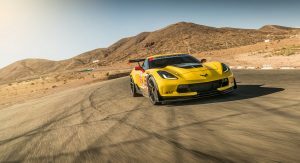 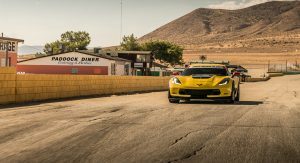 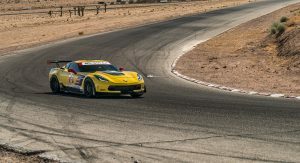 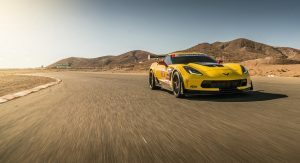 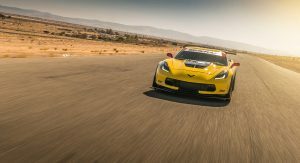 Not satisfied with that, the crew at Speed Society set about modifying a Z06, transforming it into a track-oriented monster that can still handle any of the humdrum everyday activities of daily life. 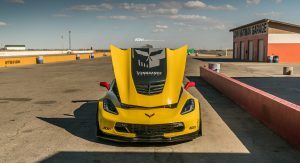 Speed Society’s modifications start with the engine. 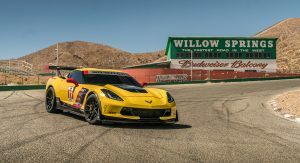 The car has been fitted with new cylinder heads, a Vengeance Racing Billet Core Camshaft, Vengeance Racing Dual Valve springs, Vengeance Racing hardened pushrods, a Katech tuming chain, high performance lifters, GM MLS head gaskets, ARP head bolts, GM MLS exhaust manifold gaskets, new headers with an X pipe, 160 degree theromstat, and an Overdriven crankshaft pulley. 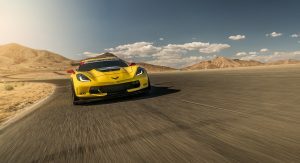 All up, the V8 now pumps out 850 hp and 880 lb-ft of torque, while it has also been tuned to run smoothly on methanol. 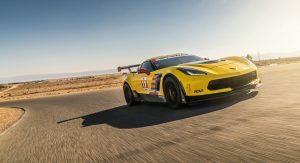 To complete the engine upgrades, the ‘Vette has been fitted with ADV.1 wheels, Michelin Pilot Sport Cup 2 tires, and a massive rear wing. 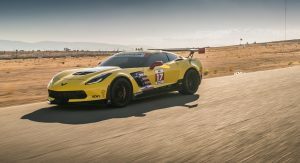 I didn’t see anything about keeping the car cool and stopping it from going into limp mode like a lot of complaints I’ve heard about the Z06. 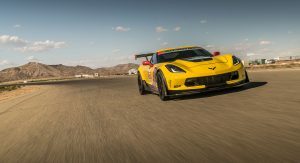 Some time ago a magazine did a test comparo between a C6 Z06 and C6.R race car. 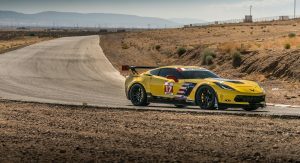 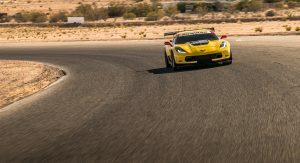 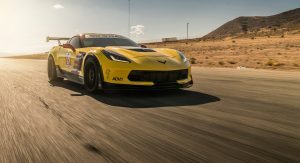 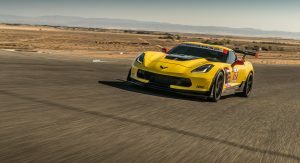 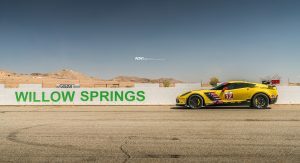 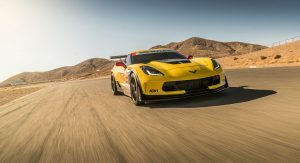 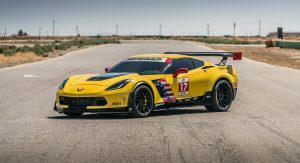 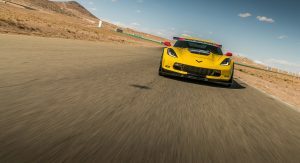 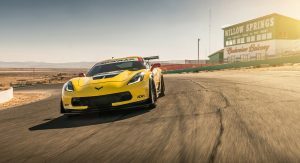 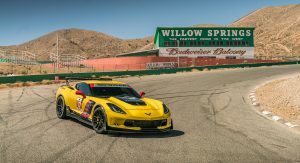 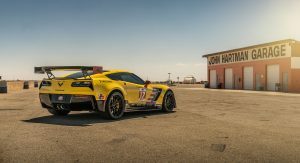 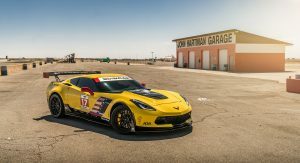 The race car had around a 5L displacement vs. the 7L Z06, and had air restrictors on the intake per racing regulation (like breathing through a straw). 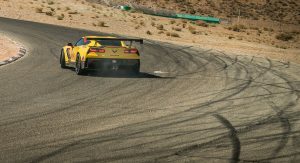 Even so, it wiped the floor with the street car. 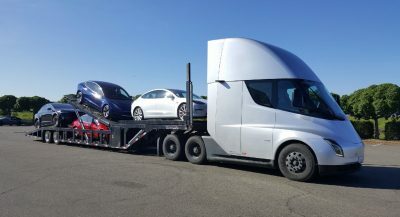 The reduced weight of maybe 2600 lbs. 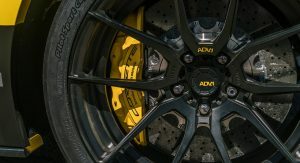 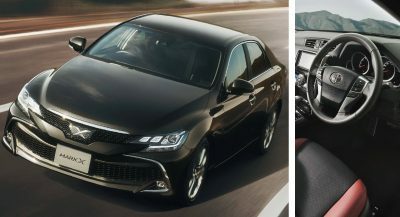 due to removal of luxury trimmings and safety equipment like airbags and emissions equipment in combination with the sticky track tires put it at a significant advantage. 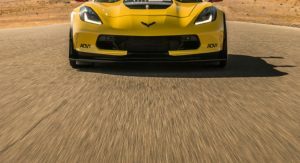 On paper, it sounded like the street car might be able to keep up, but it wasn’t even close. 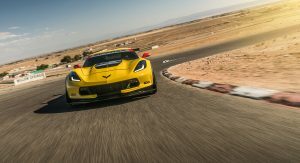 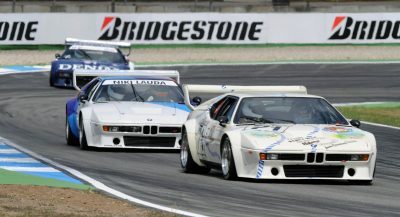 This thing looks like its racecar counterpart, but I wonder, even with a HP advantage, if it could be faster in ANY metric than its LeMans counterpart. 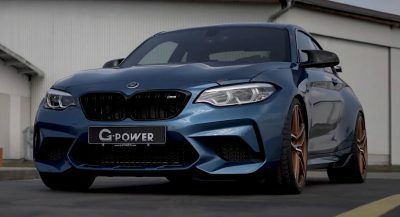 Previous PostPrevious Would You Rather Have TechArt Or Mansory Style Your Panamera Sport Turismo?